The Friends of the Cynwyd Heritage Trail was formed as a nonprofit organization in the fall of 2008. 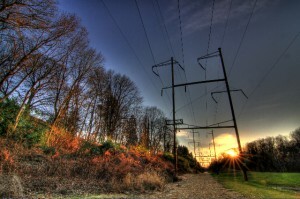 We are working to help ensure that the Lower Merion community’s vision of the Cynwyd Heritage Trail will be fulfilled. We are managed by a team of Board of Directors with help from our partners and sponsors. Our board meetings are open to the public and are held on the second Monday of every month at 6:45pm at the Bringhurst Funeral Home in West Laurel Hill Cemetery (enter from Belmont Ave across from the Bala Cynwyd Playground). To become a member of the Friends or for more information you may email us at info@cynwydtrail.org. We couldn’t do it alone. The Friends work with a number of civic organizations and local businesses such as Lower Merion Conservancy, The Neighborhood Club of Bala Cynwyd, the Schuylkill River Development Corporation, Friends of Linwood Park, Bicycle Coalition, Circuit Coalition. West Laurel Hill Cemetery has also been a great neighbor and continues to support the Trail in many ways. Friends support the design, construction, maintenance, and community involvement in the Trail. Going forward, we secure financial support to sustain and enhance the park and its natural, educational, and recreational resources. We also promote and coordinate volunteer time, talent, and fundraising to provide for permanent improvements and amenities along the Trail. In addition to our ever-growing list of individual members, the Friends are grateful for the efforts and support of many organizations. Corporate sponsors provide substantial support for programs, development, and activities. Special mention is reserved for the West Laurel Hill Cemetery. Their continuing annual leadership of $5000 or more has helped develop the Trail into an extraordinary community experience. 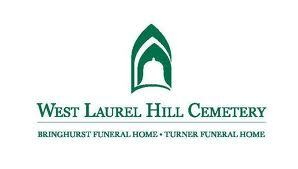 West Laurel Hill is a non-profit historic cemetery offering funeral services, monuments, reception areas, a crematory, green and Jewish burial & funeral services.